As part of our comprehensive range of water solutions, we offer a selection of cold, ambient and sparkling water chillers. These state of the art domestic water coolers are perfect for use in the home, office or anywhere that fresh, chilled water is needed! 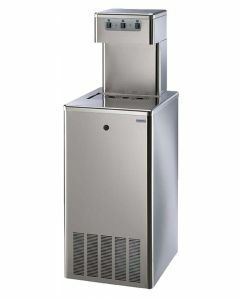 Our cold, ambient and sparkling water dispensers are designed to improve efficiency, and come as plumbed in models that connect directly with your mains water feed, or as a bottled cooler, depending on your location requirements. These water coolers comply with the highest standards in product performance, providing up to 180 litres of crisp cold, ambient and delicious sparkling water per hour. Filtered for the best quality and taste.